You may remember this Holiday Craft I shared with you all. Yyou may also remember that I mentioned how I thought they might look good year round, and as it turns out, they do! This project cost no more than $6 in poster paper and thin foam ‘paper’. I thought a few different shades of yellow would be best and my local craft store only offered that if I was willing to mix mediums, so of course I was. The thin foam medallions are kind of fabulous I have to say. They feel a tad less fragile and would open the doors for paint or easy cleaning, which is important to me. I used the tutorial from Craft-Werk found here for creating the medallions and the sizes I chose for this project were 14″, 9″ 7″ and 4 1/2″, which were mainly determined based on the paper and foam sizes I purchased. Each star requires 6 squares and so my tendency was to determine the length of the shortest side of my material and divide it by 2 and used that dimension as my size for the squares. Easy Peasy and fairly decent impact for pennies on the dollar. = $75 Remaining… Stay tuned, more fun to come! I still have lot’s of big projects and accessorizing to do, yahoo! Whether you’re living, looking or moving Apartment Guide offers how-to tips for making the most of your space on a budget. Ready to redecorate your home but short on cash? Apartment Guide can help you find inexpensive decorating ideas for how to update an area or room without spending a lot of money. “Like” Apartment Guide on Facebook at Facebook.com/apartmentguideor follow them on Twitter @AptGuidefor real-time tips and updates on making the most of your space. Wondering how to make your new space your own? Apartment Guide has tips for how to decorate your apartment on a dime. 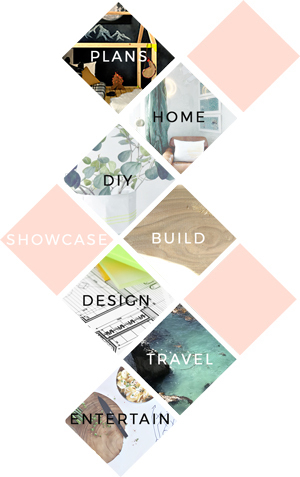 Apartment Guide and owner Consumer Source, Inc. partnered with bloggers such as me to participate in their monthly blogger programs. As part of that program, I received compensation. They did not tell me what to purchase or what to say about the products used, and believe that consumers and bloggers are free to form their own opinions and share them in their own words. Consumer Source’s policies align with WOMMA Ethics Code, FTC guidelines and social media engagement recommendations. If you enjoyed this post PLEASE STUMBLE IT! Definitely comment below, Share it or Like it, and subscribe to my feed to stay up to date! You can now also: Follow my blog with blog lovin! I would love for you to check out my other site: Handmade-Holiday! For all of your DIY Holiday Decor, Gifts, Parties, and More!